Defamation remains a criminal offence in Croatia. The Croatian Criminal Code recognises three forms of offences to honour of individuals. Insult (Criminal Code Art. 147), defined as insulting another person. The penalty is a fine up to 90 times the daily rate. Shaming (Criminal Code Art. 148) is defined as the presentation or dissemination of facts about a person before a third party that may harm that person’s honour or reputation. The penalty is a fine up to 180 times the daily rate. 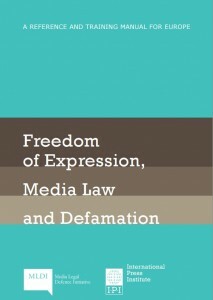 Criminal liability for insult and shaming is excluded if the offending content was disseminated in the course of journalistic work or if these statements were disseminated in the public interest or for some other justifiable reason, including scientific, literary and artistic work (Art. 148a). Defamation (Criminal Code Art. 149) is defined as knowingly presenting or disseminating untrue facts about a person before a third party that may harm that person’s honour or reputation. The penalty is a fine up to 360 times the daily rate. If any of these offences is committed through the press, television, radio, computer system or network, at a public gathering or otherwise in a manner accessible to a large number of people, the penalties are increased to fines of 180, 360, and 500 times the daily rate for insult, shaming, and defamation, respectively. Also, according to Criminal Code Art. 151 the damaged party can request the publication of the judgment. If possible, the Court will order the judgment to be published in the same media outlet where the criminal act was committed. According to Art. 150 of the Croatian Criminal Code, all criminal cases for insult, shaming, and defamation shall be prosecuted privately. Anyone who publicly mocks, roughly disparages or exposes to hatred the Republic of Croatia, its flag, coat of arms or national anthem, is liable to a punishment of imprisonment for up to one year (Criminal Code Art. 349). Anyone who publicly mocks, roughly disparages or exposes to hatred a foreign state, its flag, coat of arms or national anthem, is liable to a punishment of imprisonment for up to one year (Criminal Code Art. 356). The same provision applies to the United Nations, European Union, Council of Europe, International Red Cross or any other internationally recognised organisation. If insult, shaming, or defamation is committed against a deceased person, a close relation of the person may bring a private criminal action (Criminal Code, Art. 150(2)). • For Art. 147, par. 1 (insult, general), there were 41 convictions, resulting in 25 criminal fines. • For Art. 147, par. 2 (insult committed publicly or through the media), there were 18 convictions, resulting in 9 criminal fines. • For Art. 148, par. 1 (shaming, general), there were 2 convictions, resulting in 2 criminal fines. • For Art. 148, par. 2 (shaming committed publicly or through the media), there were 0 convictions. • For Art. 149, par. 1 (defamation, general), there were 16 convictions, resulting in 11 criminal fines. • For Art. 149, par. 2 (defamation committed publicly or through the media), there were 54 convictions, resulting in 42 criminal fines. • Data do not show any convictions for Arts. 349 (defamation of the Croatian state and state symbols) or 356 (defamation of foreign states or international organisations). • For Art. 147, par. 1 (insult, general), there were 19 convictions, resulting in 18 criminal fines (of which 15 suspended) and one judicial admonition. • For Art. 147, par. 2 (insult committed publicly or through the media), there were 12 convictions, resulting in 11 criminal fines (of which 6 suspended) and 1 judicial admonition. • For Art. 148, par. 1 (shaming, general), there was 1 conviction, resulting in 1 criminal fine (suspended). • For Art. 148, par. 2 (shaming committed publicly or through the media), there was 1 conviction resulting in 1 criminal fine. • For Art. 149, par. 1 (defamation, general), there were 17 convictions, resulting in 16 criminal fines (of which 13 suspended) and 1 judicial admonition. • For Art. 149, par. 2 (defamation committed publicly or through the media), there were 33 convictions, resulting in 32 criminal fines (of which 18 suspended) and 1 judicial admonition. • For Art. 349 (publicly mocking/exposing to hatred the Republic of Croatia, its flag, coat of arms or national anthem), there were 2 convictions, resulting in 1 prison sentence ranging from 6 to 12 months and 1 prison sentence ranging from 2 to 3 months (both sentences were suspended). Data do not show any convictions for Art. 356 (defamation of foreign states or international organisations). 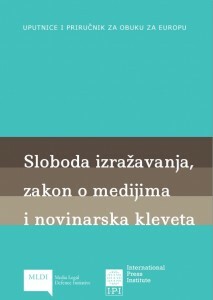 In April 2014, the Municipal Court in Zagreb found journalist Slavica Lukic of Jutarnji list guilty of criminal “shaming”, after Ivanka Trstenjak Rajkovic, co-owner of a private clinic, Medikol, filed a lawsuit against her. Lukic reported that Medikol although a private clinic, received 500 million Croatian kuna in public funds from 2007 to 2013, and still operated with losses. Later, the owners of Medikol initiated insolvency proceedings. The judge in the case reportedly ruled that Lukic could only be regularly investigating the activities of Medikol for some unknown, unjustified reason. According to the court’s decision, an individual can be held liable for “shaming” even if he/she reports the truth if it is the court’s opinion that the truth was not in the public interest. An appeals court later overturned the verdict against Lukic and ordered a new trial. In 2016, the Municipal Court acquitted Lukic under the amended version of the Criminal Code (see above under “Recent Legal Changes”). The plaintiff’s appeal was rejected. In March 2012, a court in Zagreb found political analyst and publicist Darko Petricic not guilty of libelling former Croatian President Stjepan Mesic. The latter had filed criminal charges after Petricic claimed that Mesic’s 2000 campaign for president had been financed by the Albanian mafia and that Mesic was one of the three richest persons in Croatia. However, the court ruled that Petricic’s statement only represented serious criticism of a politician, without the intent to defame. Additionally, the court in particular emphasised that the 2000 campaign had lacked transparency with regards to funding and, as such, it could not be established who the financial backers of Mesic’s campaign were; additionally, Petricic’s statement as to Mesic’s being one of the three richest persons in Croatia was an opinion that was not punishable. Civil defamation is regulated under the and the , which specify that material and moral damages may be awarded harm done to reputation and honour. Art. 16 of the prescribes that freedoms and rights can be restricted by law in order to protect the freedoms and rights of others. In Art. 35, the Constitution also guarantees the protection of private and family life, dignity and reputation. Art. 38 guarantees freedom of expression and the press and states that “[j]ournalists shall have the right to freedom of reporting and access to information. There are no caps on non-pecuniary damages for defamation in Croatian law. The Media Act allows for material and non-pecuniary damages for pain and suffering for information disclosed by the media (Art. 21). Non-material damage is as a rule compensated by a correction, an apology by the publisher for the false information, or moral damages (Art. 22, par. 1). A petition for non-pecuniary damages can only be filed if the damaged party previously requested a correction or an apology (Art. 22, par. 2). Otherwise, the damages are to be awarded accrording to the general rules of the Obligations Act (Art. 22, par. 1). The Obligations Act (Art. 1098) prescribes compensation for material damages in case of harm to honor and dissemination of false allegations. Whoever harms another person’s honor, presents or disseminates false allegations about someone’s background, knowledge or ability, and knows or should have known that those allegations were false, and causes material damages, shall be obliged to compensate it. However, a person will not be liable for the damage caused if he/she did not know that the statement was untrue (Art- 1098, par. 2). The court may also award non-pecuniary damages, independently of redressing the material damage, even if the latter is not awarded (Obligations Act, Art. 1100, par. 3). Also, according to Art. 1100, par. 3), legal entity has the right to pecuniary compensation in a case of violation of reputation. Art. 1099 of the Obligations Act states that in the case of violation of personal rights, the court can order publication of the judgement, correction or withdrawal of the statement or another action that would achieve the purpose of compensation. The Media Act provides that every person has the right to protection of privacy, dignity, reputation, and honour (Art. 7). Violations of these rights may result in the awarding of damages. However the Media Act establishes (Art. 21, par. 4) the following exceptions. Truth:There shall be exemption from liability for damage if the information causing the harm was true or based on facts for which the author had reasonable ground to believe that they are true (see below). Additionally, the information has to be in the public interest and given in a good faith, i.e. without intent to harm (Art. 21, par. 4). Reasonable publication: The above stipulations apply if the journalist had reasonable grounds to believe the information in question to be true. The author in such cases needs to prove that he/she had undertaken all the necessary measures to verify the veracity of the information. Privileged Reporting: The publisher is not liable, if the statement is faithfully transmitted from the session of a state authority or from the document of the state authority. Also is the information is published within the authorized interview (Art. 21, par. 4). Other: According to Art. 21, par. 6), the burden of proof for the presumption of liability for damages is on the plaintiff and the burden of proof for exemption from liability is on the defendant. The publisher shall not be held responsible, if the information is true and circumstances indicate that the journalist in good faith concluded that the damaged party agreed with the publication of information (Art. 21, par. 4). According to the Media Act (Art. 24), the editor-in-chief is responsible for all published information. The publisher (21) is obliged to compensate any damage (material or moral) caused by the information. According to Article 29 of the Media Act, if the editor changes the meaning of content, it cannot be published without the consent of the author. If the editor publishes the changed content without the consent of the author, he/she shall be held liable. Paragraph 3 of the Article prescribes that if the mentioned content is published without the consent of the author and it damages the author’s honour and reputation, the author can claim compensation. In 2006, imprisonment as a possible punishment for defamation was abolished from the Criminal Code. On 1 January 2013, new provisions of the Criminal Code entered into force. The revised Code introduced the new criminal act of “shaming”. In 2015, Parliament passed an amendment excluding criminal liability for Art. 148 (shaming) and Art. 147 (insult) when the offending content was disseminated in the course of journalistic work or if these statements were disseminated in the public interest or for some other justifiable reason, including scientific, literary and artistic work. Information for Croatia was originally collected by IPI as part of the “Out of Balance” report, published in January 2015 with support from the European Commission and incorporating research contributed by Center for Media, Data and Society at Central European University in Budapest and by the SHARE Foundation in Belgrade. This entry was later expanded and updated by IPI as part of a study commissioned by the Office of the Representative on Freedom of the Media of the Organization for Security and Co-operation in Europe (OSCE). Obligations Act, Official Gazette nos. 35/05, 41/08, 125/11 (Croatian). Media Act, Official Gazette nos. 59/04, 84/11, 81/13 (Croatian). Constitution of the Republic of Croatia (Ustav Republike Hrvatske).